I've never had any personal encounter with sharks. A big fish, yes. It was back in 2009 or 2010 in Puerto Princesa, Palawan, while snorkeling. The huge fish was scary enough, much more a shark. I feared sharks because of the impression I had from the popular movie Jaws (movie theme playing). But, with the Philippines as one of the countries in Asia with greatest bio-diversity, including sharks, majority of our waters are diverse and wide enough to support the existence of sharks – so much so that they don’t need to attack people. Having learned this, I came to realize that sharks in the Philippines need to be protected as well. According to Wikipedia, as classified by the International Union for Conservation of Nature (IUCN), the following are the shark species that are endangered in our country. Monad Shoal near Malapascua Island, Daanbantayan remains to be the only place in the Philippines and in the world where scuba divers can see pelagic thresher sharks almost every day. 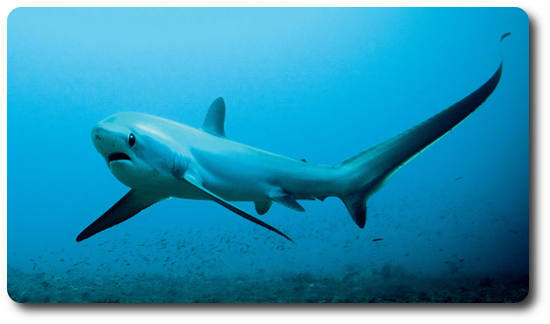 With this exclusivity, the Thresher Shark can become endangered soon. 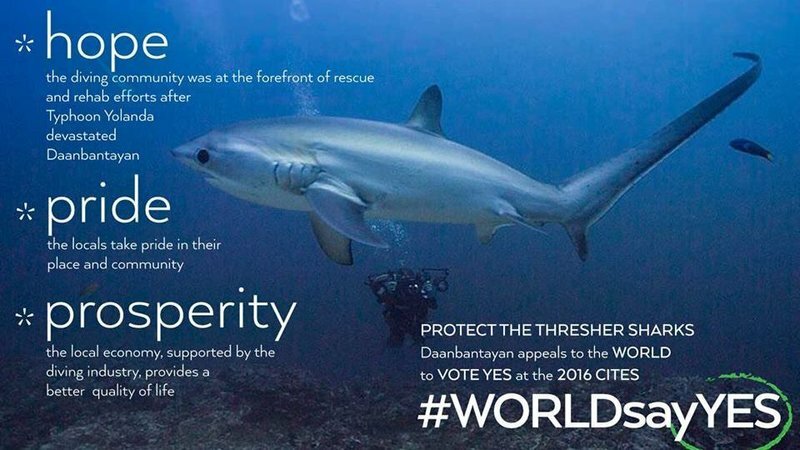 But, there is a petition for Threshers at Change.org that will help prevent unsustainable fishing of thresher sharks by having the market for their fins monitored and regulated. To be good stewards of the gifts that we're given is our call and responsibility. The challenge is to sign the Petition and Vote YES for Threshers at Change.org. We can't just stand by and watch our environment disintegrate. Let's all take part in supporting the preservation and protection of sharks that have long been butchered and marketed for their fins. The proposal will help make sure that no more unsustainable fishing of sharks will happen, through monitoring and regulation. 1. Sign the Petition and Vote YES for Threshers at Change.org and let us unite in getting our voice heard. 2. Pledging your support to the Thunderclap campaign!